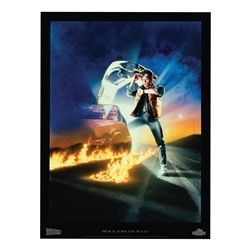 Back To the Future - Then One Day... Part I 18" x 24" Frameable Lithograph. Heavyweight Acid-Free Stock. Ships rolled and bagged.